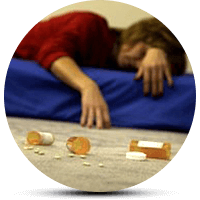 Benzodiazepines relapse is a common occurrence among the addicts. Do not hold yourself down for losing control over the urges. In fact, it happens with so many other people like you. Benzodiazepines or simply Benzos are a class of medications that depress you CNS. These effects make them a very useful medication. Doctors use them to treat a wide range of mental and physical disorders. They include insomnia, anxiety, panic attacks, and abnormal muscle contractions. Unfortunately, these are also the same reasons why so many people abuse them. Consequently, they develop a tolerance. As a result, they start taking more to satiate their ever-increasing urges. The result is a harmful addiction. This puts them in the front row of many serious health effects. In addition to the approved uses, they use often it just to get high. In the end, they to end up becoming another victim of the addiction. Xanax, Klonopin, and Valium are some of the typical examples. You stay sober for a certain duration of time. Then, after a while, severe discomfort and urges for a high drag you to using it again. This is what they call a Benzodiazepines relapse. While you may consider it as a failure of the overall addiction treatment program, this is not so. Benzo relapse refers to one of the serious effects of its addition. They act by altering the levels of a brain chemical which they call Gamma Aminobutyric Acid (GABA). As a result, you feel calm and sedated after taking it. However, things turn deadly when these “good feelings” take charge of your brain. Eventually, it will take over the body functions. Within a matter of few weeks of continued use, the habit becomes a disease. Consequently, you cannot function normally in its absence. You might attempt to set yourself free from the addiction. Therefore, you may enroll in a detox/addiction treatment program. Then follows a common story. Have you gone through a similar situation? Then, you can understand that it is not uncommon and not your fault either. As a matter of fact, the tendency to go back to the addiction goes away. It happens as the period of non-use lengthens. Nevertheless, it is a serious problem that leaves a rehab effort in jeopardy. What are the Triggers Of Benzodiazepines Relapse? Learning about the triggers can prepare you to handle the situation in real time. Moreover, you may also apply precautionary measures to keep them at bay. Cravings: Strong urges to take the benzo again may arise during the period of withdrawal. Essentially, these are more powerful during the first few days after your last dose. Your war against the Benzodiazepines relapse is half won if you can endure this phase. Bad company: Do you continue to stay in touch with the other addicts? There is a high probability that you may join the party again. Stress: Stress is a normal part of the daily life. However, an addict may perceive a stressful situation to cheat on the drugs. In part, using Benzos causes relaxation and transient freedom from stress. This might be another reason why they abuse it. Other mental illnesses: Do they have any other co-occurring mental disorder? In this case, the risk of an addict to have Benzodiazepines relapse is higher. In addition, similar may be the case when they abuse more than one drug. Benzo relapse is as harmful as its addiction. Of course, this can lead to a full-blown addiction if you do not take timely measures. Health getting worse: Many physical and mental illnesses have their roots in the addiction. In the same manner, Benzodiazepines relapse may lead to other serious problems. They are overdose, seizures, memory problems, psychosis and the list never ends. Unfortunately, some might not be lucky enough to survive due to the complications. Probable failure of the addiction treatment program: If you get back, you will have to start all the rehab efforts and dealing with all the side effects of Benzos. In this case, it means right from the first step again. All the hard work will vanish within no time. It will cost you more than money, time and dream of a drug-free life. This is just the tip of the iceberg. Failure to stay sober negatively impacts each aspect of your life. Benzodiazepines Relapse: Can You Prevent It? At the moment a preventive approach does not exist. In other words, nothing can guarantee a full proof protection from Benzo relapse. Nevertheless, some measures may cut down the risk by a huge margin. Here are some tips to follow. Avoid the triggers: This is the second step of the Benzo relapse prevention strategy. The first is identifying them. At this point, you can take measures to avoid them completely. You can do it after you identify what makes you more likely to restart on the drug. If that’s not possible, try not to become a victim of the urges. For example, avoid bad company, limit alcohol intake or start a new hobby to keep yourself busy. Follow a routine: Living within the boundary of a schedule may not seem like the most enjoyable idea. However, a disciplined life is key to ensuring you will stick to your goals. Make a list of things-to-do and stay motivated to get them done at the right time. Setting time limits can make you more disciplined. Make sure to include healthy activities in your routine. Stay in touch with your loved ones: Positive motivation and emotional support go a long way in preventing Benzo relapse. In fact, a strong emotional support system plays a pivotal role. They will remind you of your responsibilities and long-term treatment goals. To know more about Benzodiazepines relapse or its addiction, talk to the experts. They can provide an accurate information on a variety of addiction-related topics. Their knowledge and experience are invaluable to your journey to sobriety. In fact, with their guidance, you can expect a swift and complete recovery. Need a professional help to fight an addiction? Get the best rehabs page here.